Bedroom is the coziest place on earth and you don’t want it to become boring, do you? 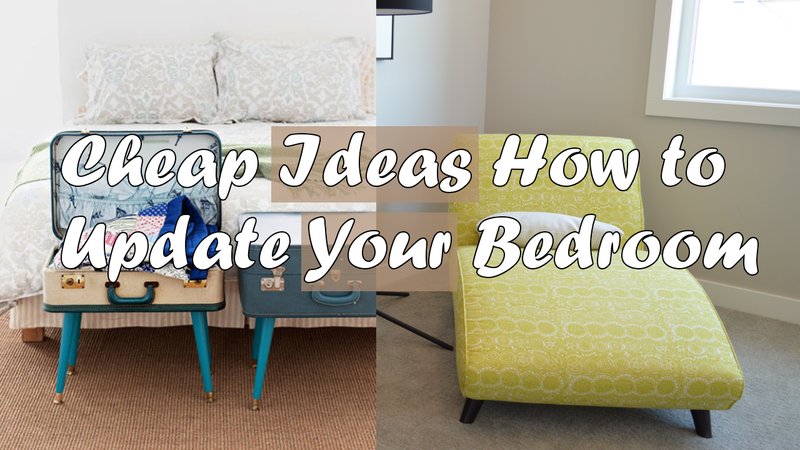 Then what you need to do is to follow these cheap ideas to update your bedroom’s look. This is cheap ways how to update a bedroom. You can make a framed quote by preparing 6 sheets of plywood with same size and print the quote on a paper. The paper should have the same size with the plywood sheets. Simply glue 5 of the wood sheets altogether along with the paper onto the wood. This is the main part. Take the remaining sheet and cut it into 4 pieces. The pieces must have the same width with each side of the main part. Darken them with wood stain. Lastly, glue and nail them on each side of the main part.